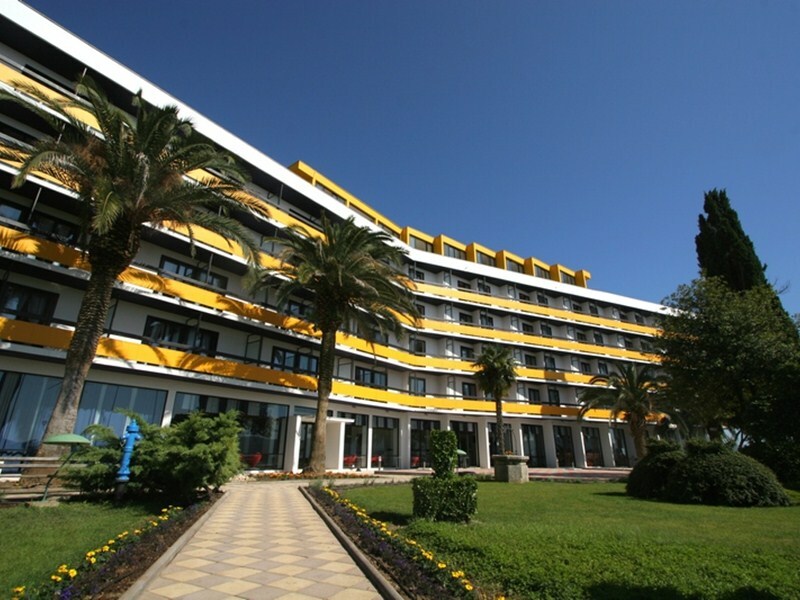 Hotel Ilirija, Biograd na moru -The biggest of all Ilirija Hotels, with 158 rooms and 7 apartments, which have a total of 355 beds. It is surrounded by beautiful and fragrant pine trees, and its wide variety of services and entertainment make it an ideal location for summer vacations, where everyone can find something according to their liking. Rated with four stars, Ilirija hotel specializes in vacations for the whole family, including any pets if you bring them along, with all the luxuries and services you may require while staying. Its doors are open to all tourists from March till December. The hotel has its own parking lot, so for a small fee, you won`t have to drive around town every day, looking for a decent parking spot. The lobby has a free WiFi hotspot where you can surf the internet, check your e-mails and do other stuff for free. Of course, all rooms also have WiFi, but you have to pay a fee in order to use it. All rooms have two beds, an air conditioning system which can be manually regulated, as well as other things you may require while staying in the hotel. A huge flat-screen TV with hundreds of channels is mounted on a wall in every room, which will provide a bit of entertainment while hiding from the scorching sun during the afternoon. Every day housekeeping will come and clean your room, and even if you want, wash, dry and iron your clothes. From June to September, Ilirija hotel is the host of many daily events and activities, for kids and adults, respectively, as well as live music performances every evening. Those who wish to exercise themselves a bit, can visit the hotel`s tennis court which is located in the vicinity of the hotel. If you`re looking just for a bit of relaxation, you may want to visit the hotel`s wellness & beauty center. Beaches in the near vicinity of Ilirija hotels are gravelly and concrete, with sandy beaches located a bit further down the shore. On them you may find everything you may need while relaxing and having fun on the beach, like parasols, easy chairs, showers and bars. The sea is clean and warm, with temperatures at around 25°C during summer.